The Alamo Missions offer tourists a walk back into the glorious of San Antonio, Texas. The structures from the rich colonial era of Texas stand beautifully despite the ravages of time. In the movie “Miss Congeniality,” Miss Rhode Island delivered what is perhaps the most iconic line in the film. In the interview portion, she was asked to describe her perfect date, to which she replied “That’s a tough one. I’d have to say April 25. Because it’s not too hot, not too cold. All you need is a light jacket.” This scene, undoubtedly hilarious, never fails to draw a smile on my face. I did not realize how long ago the film was released if not for my friend Marge, who reminded me about it during our recent conversation in FB messenger. The movie, according to Marge, was shot mostly in San Antonio, Texas and featured some of the city’s famous landmarks – Alamo Mission and River Walk. Knowing that Marge, who is now based in Texas with her husband, is a travel enthusiast, I asked her if she’s been to any of these destinations and if she wrote about her journeys there. Marge said no, so I invited her to write and I’ll publish it in this blog. I know Marge to be a lover of art, culture and heritage as well. She liked the idea of having her story published but she suggested that I just interview her and draft the article. Marge described San Antonio as the most touristy among the Texas cities. It was true. The many things that tourists can do at San Antonio, as listed by the website www.visitsanantonio.com seem endless. There are foodie tours, outdoor adventures, historic tours, and various events, to name a few. So we begin our story with what is perhaps one of the most important cultural sites in San Antonio, Texas – the Alamo Missions. “It’s definitely something for history buffs as it is where the Battle of the Alamo took place,” Marge started on. 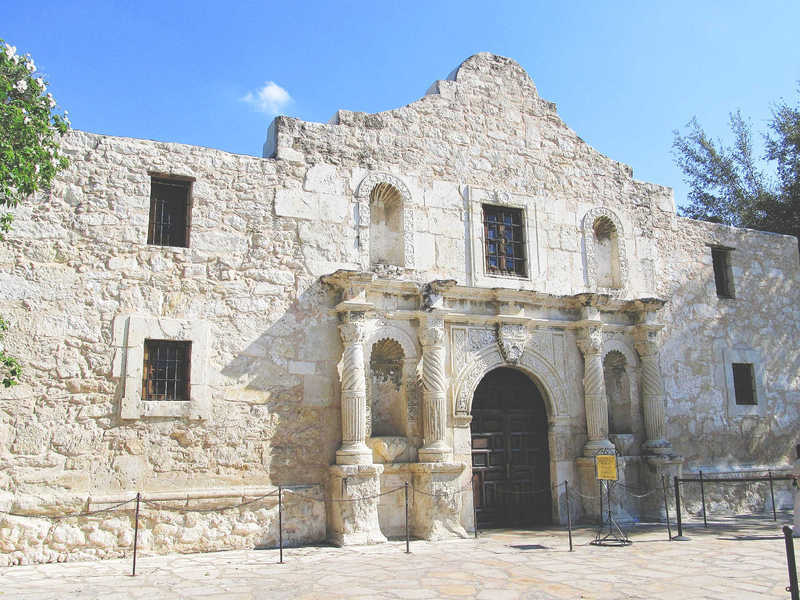 The Alamo Mission in San Antonio (or simply the Alamo) is actually a fortress compound and Roman Catholic mission, also known as San Antonio de Valero Mission (originally referred to as San Antonio de Padua). The mission was authorized by the viceroy of Mexico in 1716 and was established by Fray Antonio de Olivares in 1718. It was named San Antonio de Valero in honor of Saint Anthony de Padua and the Duke of Valero, the Spanish viceroy. Construction of the church began on May 8, 1744. It was an outpost or base camp where Spanish missionaries spread Roman Catholicism to Native American Indians. What visitors will see at Alamo is in fact the remnant of the church. It also serves as a memorial for all the valiant fighters who were lost in the Battle of Alamo. 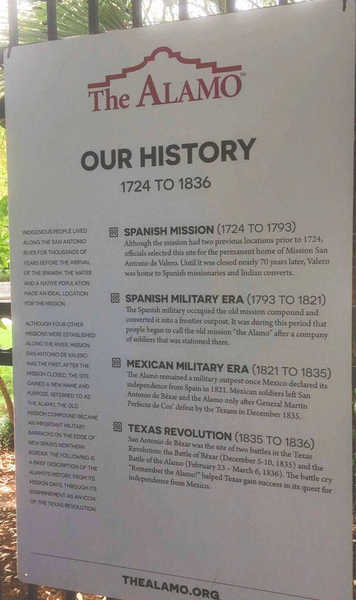 The Alamo is part of the San Antonio Missions National Historical Park, a UNESCO World Heritage Site composed of four other missions, namely, Mission Concepcion, Mission Espada, Mission San Jose, and Mission San Juan. “So when you say mission, what you actually see now is the church which they have restored and preserved. They still hold masses in them. But not all 5 were restored. Some were destroyed in the battle. Inside the walls would be a large open field because it used to be a community. Some would still have the rooms intact. And then the small church,” said Marge. “You can rent a bike to go from one mission to another. 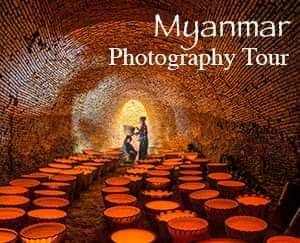 And then there are also paid tours. To go in a mission is free but they are strict when there’s mass. You really won’t see much as they are ruins. We stayed at the Crockett Hotel which is also historical. No frills but has a good location. It’s right by the Alamo. Right across the famous San Antonio River Walk, it’s a series of restaurants and hotels. You’ll see it in Ms. Congeniality. There are lots of hotels on the River Walk,” added Marge. As a concluding note, Marge said that the Alamo is often overlooked whenever people are in San Antonio and that there are still people who do not know about the Missions. The 13-day Battle of the Alamo in 1836 is described as the most celebrated military engagement in Texas history and symbolizes patriotic sacrifice for most Texans as well as many Americans. During the battle, many Texans sacrificed their lives in gaining independence from Mexico. The battle cry “Remember the Alamo!” helped Texas in its quest for successful sovereignty. 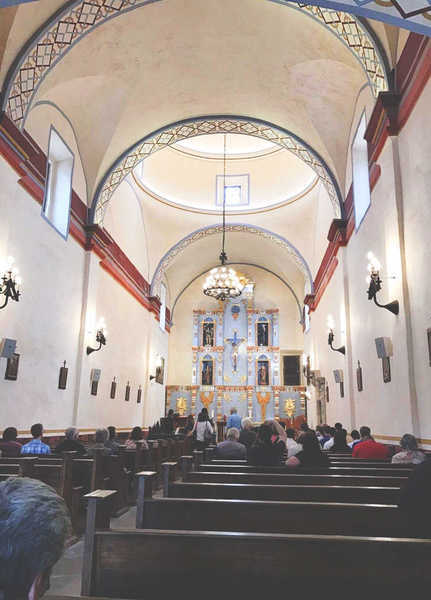 Although the mission had two previous locations prior to 1724, officials selected this site for the permanent home of Mission San Antonio de Valero. Until it was closed nearly 70 years later, Valero was home to Spanish missionaries and Indian converts. The Spanish military occupied the old mission compound and converted it into a frontier outpost. It was during this period that people began to call the old mission “the Alamo” after a company of soldiers that was stationed there. The Alamo remained a military outpost once Mexico declared its independence from spain in 1821. Mexican soldiers left San Antonio de Bexar and the Alamo only after General Martin Perfecto de Cos’ defeat by the Texans in December 1835. San Antonio de Bexar was the site of two battles in the Texas Revolution: the Battle of Bexar (December 5 to 10, 1835) and the Battle of the Alamo (February 23 to March 6, 1836). “We were once part of Mexico, and then we became our own country, Republic of Texas. Then we became a state. Sam Houston was the president and Stephen Austin was Secretary of State. So Spain, France, Mexico, and then we became our own country, and finally, part of America. That’s why we’re the lone star, because we were once an independent republic. We’re the only flag that can fly along with the flag of the United States. All other flags should be below the American flag,” Marge said in closing. Disclaimer: I have never been to San Antonio, Texas or in the USA. This article was based purely on my interview with my friend Marge who is now living in Austin, Texas. Very timely post! Sher and I will be in San Antonio next week for the New Year's Celebration which we will share with family. Glad to be of help. You sent a question via our contact form. Hope you could email me so that I can just reply to you there. Thank you for dropping by! Glad to be of help. You sent me a message through our contact form, hope you could just email me so that I can reply to you. Thank you for dropping by!